Divide the class into small groups. Assign one or more of the following images to each group. Distribute the document “Researching the Archival Images of the White House” on page 1 of the Master PDF. Give students the opportunity to scrutinize the assigned image, and suggest ways they can find out more about it. 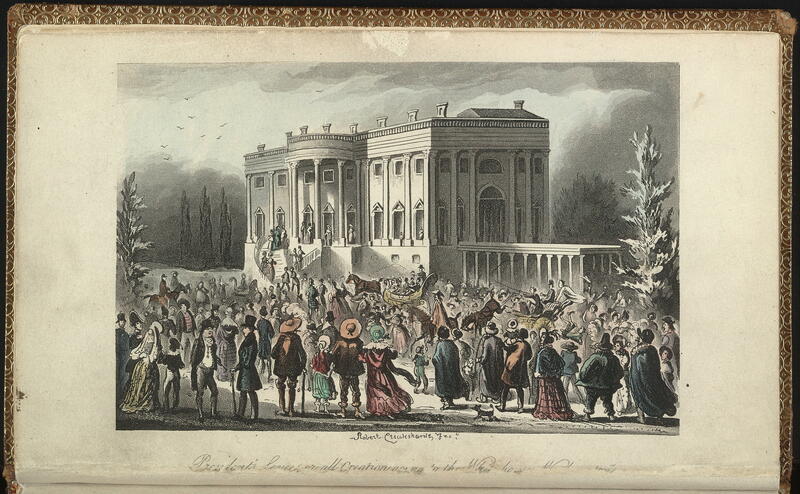 Information about every President is available on the EDSITEment resource American President. Another relevant online source is the History Timeline on the White House Historical Association website, a link from the EDSITEment-reviewed website Explore DC. The key words and questions provided below should also be helpful. Each group is responsible for filling out the document, sharing what they discovered with the class, and creating a brief caption for the image. (NOTE: All images are available via the EDSITEment resources American Memory or Digital Classroom unless otherwise specified. 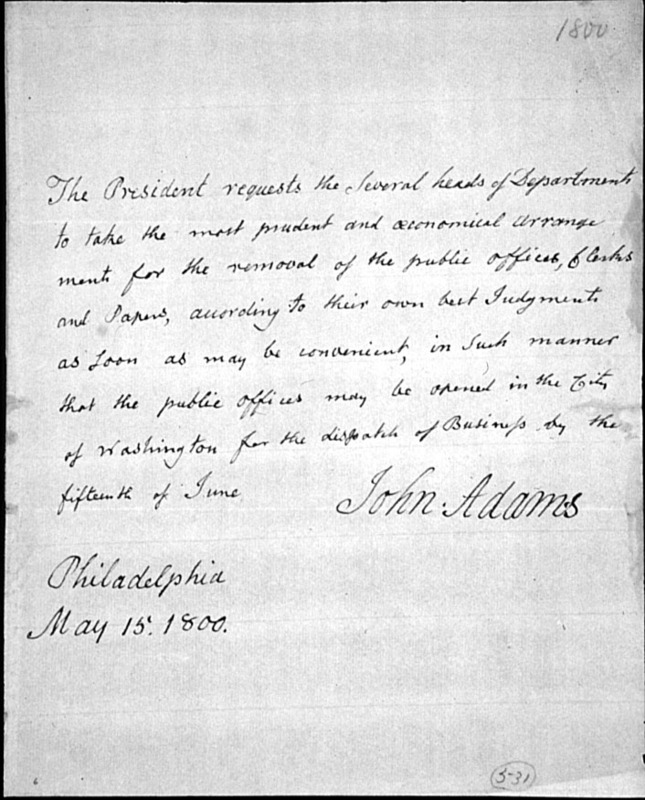 Questions: When does Adams's letter say government officials should move to their offices in Washington, D.C.? When did Adams move into the White House? What event was going to happen soon after Adams moved in? Why was Adams's stay in the White House so short? Questions: What is a conflagration? Who burnt the White House? In what war? What happened to the White House as a result? What did Dolley Madison do? What was the outcome of the war? Questions: Who became President on March 4, 1829? What happened at the after-inauguration gathering at the White House? Why did this President, in particular, open the White House to the public? Questions: What had been some policies of the U.S. government toward the Native Americans since Andrew Jackson became President? When did the Third Seminole War end? Why was that war important to relations between Native Americans and the U.S. government? Questions: What important event was happening in this country in 1863? 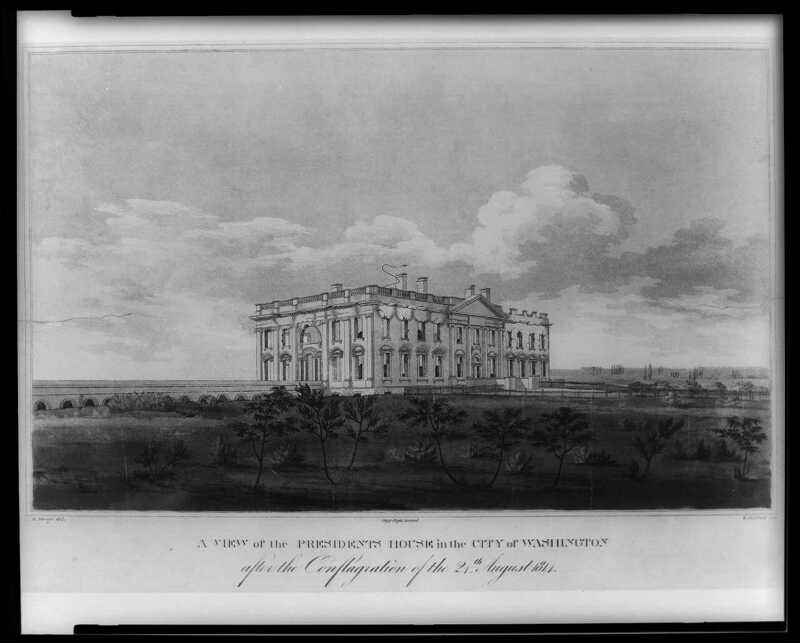 What's surprising about the view of the White House in the photograph? Questions: What's a suffragist? What goal did a suffragist seek? 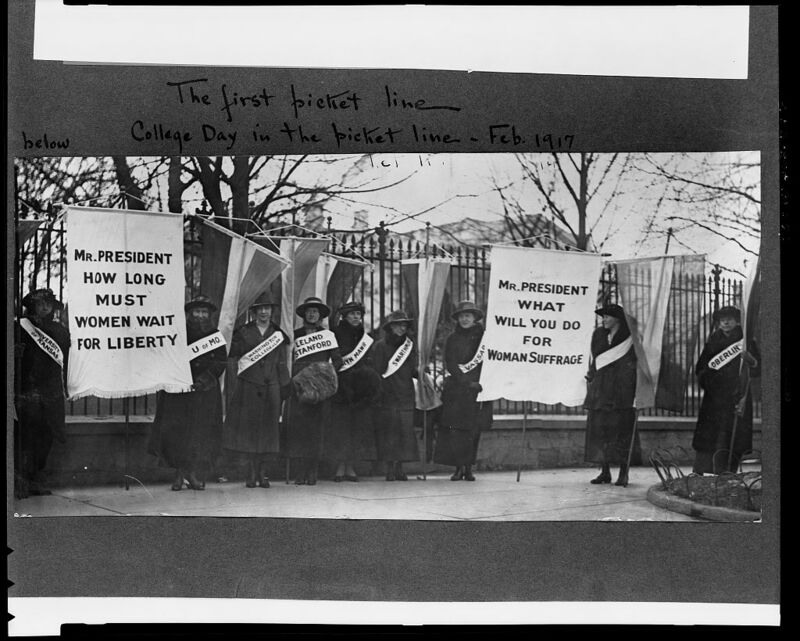 What amendment to the Constitution addressed the concerns of the suffragists? When was it ratified? Questions: What is a fireside chat? Why did Roosevelt choose to speak to Americans in fireside chats? What problem that had begun in 1929 was America still facing in 1935? Questions: Why did Harry Truman have to be sworn in as President? What was unusual about the term of office of the man who preceded him? What war was the U.S. fighting in 1945? When did the war end? Questions: What war ended on August 14, 1945? Who was President at that time? Questions: What does "Civil Rights" mean? What did the Civil Rights Act of 1964 say? Questions: What country did Anwar Sadat lead? What country did Menachem Begin lead? What did the Camp David Accords accomplish? Each group, together or individually, should be able to answer the questions that relate to the group's assigned image.